Want to Hop On a New Home Design Trend? Here’s How You Can Join The Club. 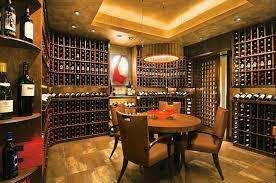 How To Collection: Install a Wine Cellar Into Your Home. There’s a new trend out there; no, its not about design fads. 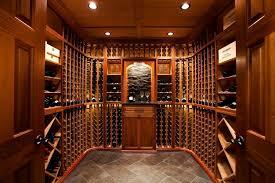 More and more people are starting to convert their basements, or other spare rooms, into wine cellars! 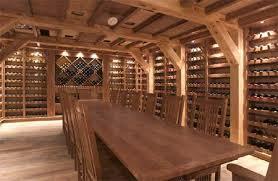 Just about everyone wishes they had the space or money to add a wine cellar to their home. If you’ve got the time, money, and space to dedicate for a wine cellar in your house, here are the steps to install one! Decide what room you’ll put the wine cellar in. The location of it is a very important aspect. You’ll need an area that does not ever get any direct sunlight. This is why most people choose the basement, but you can choose any room (preferable a corner), that doesn’t ever let light in. This is one of the fundamentals of a wine cellar. Wine can’t have light on it. Keep in mind, the cellar is going to have to control the level of humidity; it will need to be consistently set at 55 degrees. If it is any hotter than that, the wine will age faster; if it is any colder, the wine will take longer to age. 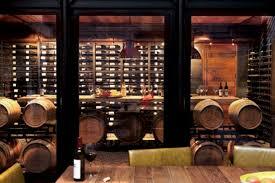 Understand that making a wine cellar depends all upon how efficiently it controls the humidity and temperature. You’ll need a space large enough to accommodate it. Again, this does not mean a huge space. Figure out how much wine you typically use, and then the room needs to be just large enough to hold what you plan to stock. 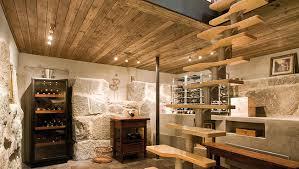 Wine rooms actually take up less room than you think. You can even have a collection of 300 bottles with as tiny as 35 square feet! 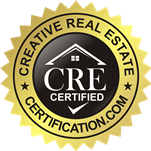 You’ll need to install drywall, insulation, and framing. The framing can be done with just some 2×4 or 2×6 wall partitions. The thicker you make the wall, the thicker the insulation will be. Once the walls are installed, you should use a foam insulation. This is because spray foam acts as an insulator, and blocks moisture. If you don’t use spray foam, you’re going to have to install a poly moisture barrier on the outside of the walls. Next, you’ll install a wine cooling unit. Keep in mind these units are not the same as normal cooling units. This is because wine cooling units control humidity, and they can remove any extra moisture. You’ll also need to add a humidifier in the room, to add even more humidity. Where you get one is not as important as the fact that it just needs to turn on! Next, choose what lighting you want for the room. This step has more to do with aesthetics, it doesn’t really make a difference in terms of the wine. Although, don’t use halogen bulbs as they give off too much heat for a cellar. Go with LED; you can use track lights, or strip lights, which will really make your collection shine! Lastly, decide how you want to display the collection. This part is the fun part. Using multiple display methods will really add a “wow” factor; use racks, bulk storage and display. You’ll want to put your nicest, most expensive wines at the front. But you’ll still want to have easy access to the less expensive bottles, which you’ll be drinking probably more often than the good stuff. If you can’t afford to have someone custom-build your shelves, no big deal! There are plenty of readily made wine racks. Your cellar is going to star as a conversation starter. It’s also a very great way to expand your social circle, as you can always host parties and have something interesting to talk about. Of course, you’ll have to have basic conversation skills once you’re past the ice breaker :). Have fun! Want to Get Rid Of The Dirty, Stained Grout In Your Kitchen Or Bathroom? Read On To Find Out How You Can Get Your Grout Squeaky-Clean! I’ve always wanted a wine cellar in my house!! How much does it cost, though? I’m glad I read this article because I really did think you had to have a huge room to accommodate one. It’s nice to know I can have one even if I don’t have a gigantic basement. Thanks! !